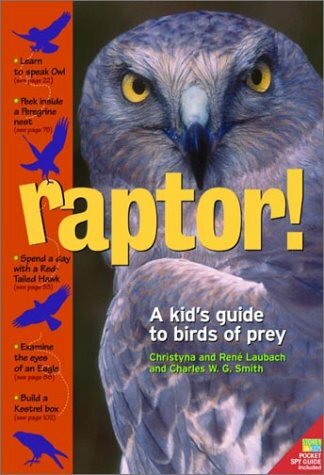 Children's Birds Of Prey Books Are Listed On Page 4. 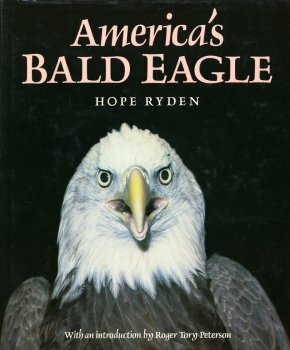 Presents information about the physical characteristics, habitat, parental behavior, predatory activities, and flight of the bald eagle. B/W photos. 63 pgs. Ages 10-14. Eagles, owls, vultures, hawks and falcons--various subspecies of these majestic birds are shown and described in detail in this remarkable volume. Birds are shown hunting, courting, and rearing fledglings. Detailed illustrations help with labels and help young nature lovers identify the birds and their eggs. Ages 8-12. Explores in depth both the eagle's life and man's life with the eagle, from the Roman times to our own. 157 pgs. Ages 14 & up. 2 books in one. 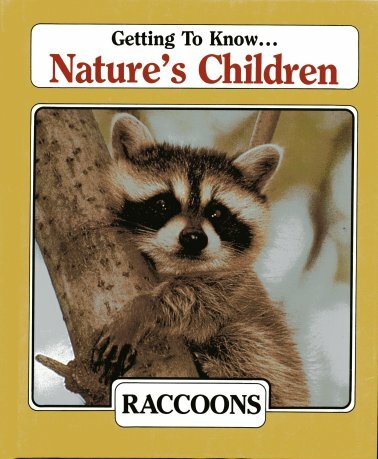 "Getting to know raccoons & "Getting to know owls". Learn where they live, what they look like, what their home is like, what their home is made of, how they fly, how they avoid danger, how they eat, what they do in the winter, how many babies they have, what do the babies look like, when do they go to bed, how old it is when it goes out on its own, and much more. Includes a glossary of words to know. Color photos. Ages 8-12. 48 pgs each. With white and dark brown feathers and intense yellow eyes, ospreys are as eye-catching as their hawk and eagle relatives. 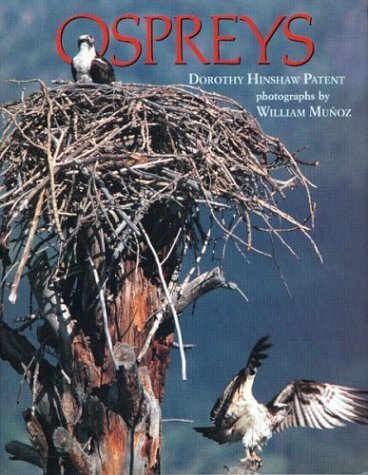 Patent's detailed and accurate text, together with Munoz's vivid color photographs, creates a fascinating portrait of a bird that human conservation efforts have rescued from endangerment. 53 full-color photos. 63 pgs. Ages 9-14. 19 nature stories for children with pictures to color. Ages 8-12. 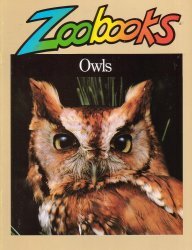 Explores the biology, amazing adaptations, and natural history with up-to-date facts about all 19 speies of owls found in US and Canada. Ages 9-12. Meet the raptors. Hunting and scavenging to stay alive. 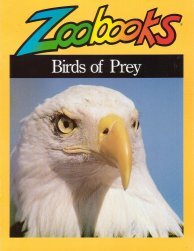 Learn where they live, how they spend their days and nights, learn about their physical features such as eyesight, talons, & beaks. A removable Pocket Spy Guide identifies raptors in flight. Filled with color photos & illustrations. 118 pgs. Ages 12 & up. Tyto, a young barn owl, is observed by the author. This is the dramatic and compelling story of one owl's survival. Ages 14 & up. 159 pgs. Owls are a hoot! This book introduces children to wildlife through color photographs, lively description and amazing facts. Whether they're hunting in the forest or hiding in a prairie burrow, these birds are full of tricks. Did you know that burrowing owlets can imitate rattlesnakes to scare away their enemies? Or that saw-whet owls can throw their voices from tree to tree, like ventriloquists? 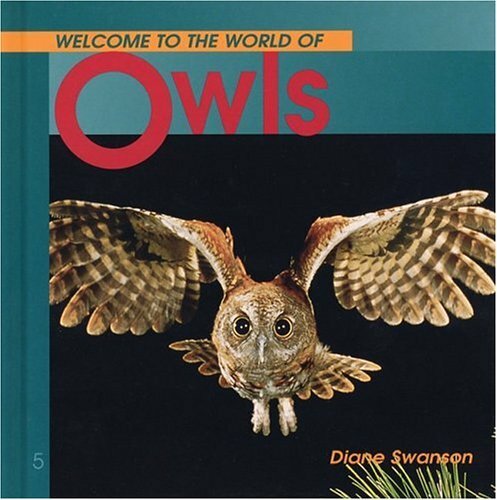 From hoots to spooks, Diane Swanson reveals the mischievous world of owls in the wild. 32 pgs. Ages 4-8. A fascinating photo essay about the magnificent and irreplaceable creature that is our national symbol. B/W photos. Ages 10 & up. 56 pgs. 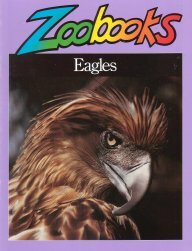 Informational booklet on the eagle, hawk, owl, falcon, kite, vultue, condor. Features 24 pages of striking wildlife photography, insightful writing, colorful illustrations, and diagrams that explain in simple terms things that make "animal facts" come alive for your child. Ages 5-12. Informational booklet all about the eagle. Features 24 pages of striking wildlife photography, insightful writing, colorful illustrations, and diagrams that explain in simple terms things that make "animal facts" come alive for your child. Ages 5-12. 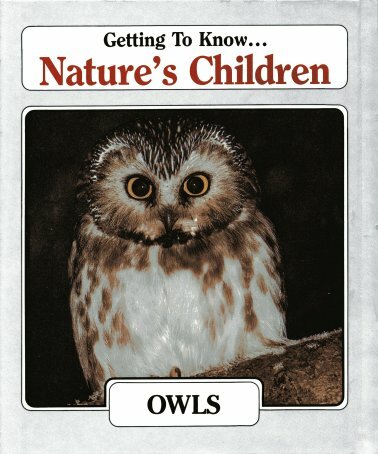 Informational booklet all about the owl. Features 24 pages of striking wildlife photography, insightful writing, colorful illustrations, and diagrams that explain in simple terms things that make "animal facts" come alive for your child. Ages 5-12.